Jolynne, I thought you might like to know that it was your first “how to wear ankle boots” post where I learned of your blog. I googled “how to wear ankle boots” and your and a few other blogs popped up. Yours was most helpful. Since then I haven’t missed a post! Thanks for all the good advice! Even though I don’t wear boots, I found the content of this post to be very informative and helpful. While I still like my skinny jeans, the one thing that does aggravate me, is that they don’t stay in place on my legs. The bunching up drives me 🥜! I hope you and the girls thoroughly enjoy your final week of summer break. Oh, I’m glad Paul was happy about you organizing his closet for him. Have an awesome day! Pinned in both my spring/summer and fall/winter. Excellent post, Jo-Lynne! So informative with great examples, and up to the minute good advice! I have this post saved under my favorites, and refer back to this post at the start of each “boot season”. Thank you for your work to keep the rest of us attire appropriate and fashionable!! Can’t wait to start wearing boots again! Great post and helpful tips! Thanks for helping us navigate booties with different types of jeans. Enjoy your week and pool! The smoke is so oppressive out west from the hundreds of forest fires. Really looking forward to seeing blue skies again come fall. It feels apocalyptic here. That sounds dreadful. I hope they can get control of them soon. This was so helpful as I purchased my first pair of ankle boots a few weeks ago. I was wondering what type of socks you wear with these if they show a good amount of your foot. Thanks so much and enjoy your week! When it gets cold, sometimes skip the ankle boots in favor of knee-high or over the knee boots, or I wear trouser socks with the taller ankle boots, when my jeans cover them. So there’s no acceptable sock other than a no show? I really hate those things. I usually wear ankle socks or cuffed ones. But idk how to fix this with my new ankle boots! Jo Lynne, I have purchased 3 pairs of boyfriend jeans. They are rather baggy and loose but they are very comfortable. I wear the with a belt and tucked in T shirt. Should I cuff the jeans and just show off my booties? I always love seeing different ways to wear ankle boots like this, Jo-Lynne. I think my favorite way lately is with dresses because it seems modern. My mom always complains about the cutting off the leg line. But I almost wonder if that isn’t an outdated thought (you know like no white after Labor Day?) I mean, I get the idea of looking leaner, but when people meet me in real life, I’m not going to pull the wool over anyone’s eyes about being short!!! I had to get used to the look. I used to think it looked so clunky and stupid. LOL! I mean, I really hated it. Somehow, I’ve come around. I think it has to be done right, though. The bootie has to be flattering and slenderizing, the colors of the outfit have to work together to they don’t chop you up too much, and the proportions of the skirt and top have to be adjusted to work with a higher shaft. I guess it’s like anything else in the realm of fashion, you have to figure out how to wear the look so you look balanced and well proportioned. Maybe that’s why I love my sock booties—they aren’t chunky?? And with the taller boots, I feel like I can wear somewhat shorter skirts yet not feel sleazy!! Thank you so much for this post, I was in dire need of boot/jean advice!! Great tips! Sometimes it can be challenging. Thanks for the help! Great post! The use of photos really helped me as sometimes I struggle with how much “skin” to show. I have pinned this post so I easily can revisit it. Enjoy your last pool days. Great tips! I especially love wearing my black suede booties with black tights and skirts or even pretty formal dresses. I love the edginess of a formal-ish dress with booties! This was very helpful. Sometimes I buy all the right things, but then when I try to wear them, they don’t look right. Posts like this help us pull it all together. Thanks!! This is such a helpful post! I love seeing the booties with all the types of jeans I bought at the #nsale and how they are styled with skirts and dresses too. I am excited for bootie weather but not what comes after fall. I have a fine arts background, as well as working in merchandising and ‘window dressing’ on my CV. I have to say, that when I see a woman wearing ankle boots with ultra short pant length (i.e. the bottom of the pant leg falls about three inches short of the top of the ankle boot) I think they look horrendous! It’s right up there with looking like Elly May Clampett or Forest Gump’s twin sister. When can I we’re my anckle boots with a fur cuff. I had so many questions – and you answered all of them! Thank you for this truly helpful post. Hey Suzane, there are a ton of good options for lower heels, I just tend to buy higher. Here are some at Nordstrom: http://shopstyle.it/l/TKeE and DSW: http://shopstyle.it/l/TKeI. Both sites allow you to drill down by heel height, which is really convenient. Also, you can drill down by color and price points. Hello! Just discovered your blog and am loving your tips! I’ve been looking for a new pair of booties and love the ones you paired with the white skinnies! Can I ask what brand/style they are? Thank you! Thanks, Maryanne, I’m so glad! Unfortunately they’re a few years old — they were from Payless. Having grown up with ‘highwaters’ in elementary school into middle school, I am not comfortable wearing short jeans even over 50. Capri pants are even out of the question. This year I will give it my best shot. Even though this particular blog is about short boots, are high boots with jeans tucked into them still in style? I have some delicious boots. I’m looking for grey ankle boots with wedge heel rather than outside heel. Found this post via Pinterest and love it! I have long legs but a short torso and have struggled all my life with pants that are too short, feeling just not right in skinny jeans and boots. But after reading this and the detailed descriptions of why certain combos make sense I feel like I know what to look for when I shop next time! And I found some tall jeans in some of your links so I’ll try them out. Thanks so much for your blog!! I’ll be back often! In East Texas and it is starting to get cool so I’m struggling with jeans and shoes again. I only do heels on Sunday so what about comfy shoes that are warm with skinny jeans? I think most of the trends/styles right now are rather tacky so this is very hard for me. 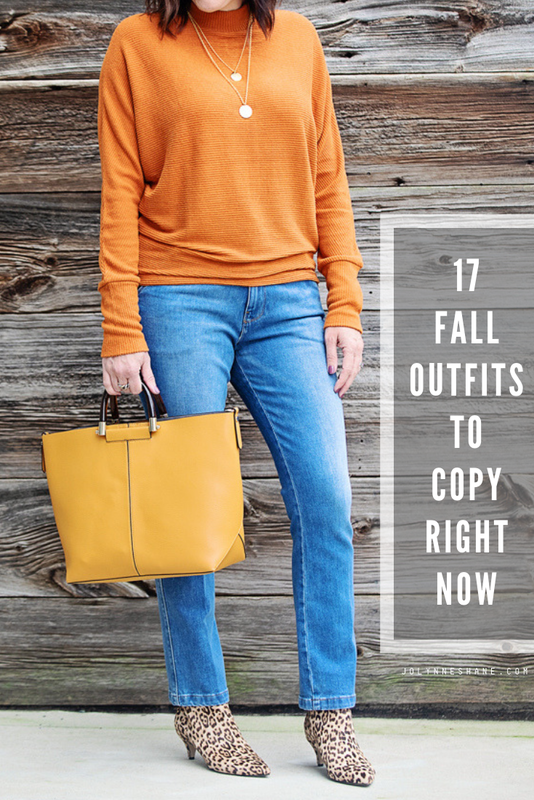 Thought you’d like to know, I was trying my boots with a new pair of skinny jeans and wondering if they looked ok. Then I thought – I’ll search that Jolynne ankle boot post! Thank you for your help in keeping me on trend!!! Great suggestions and cute ideas, but all the short shown have 3-4 inch heals. Not all short boots have heals. I personally have 2 pairs of flat short boots.